We specialise in promoting your business in conjunction with Merseylink Bus Service with state of the art vinyl masterpieces, on the back, side, inside or even an entire bus promoting you. 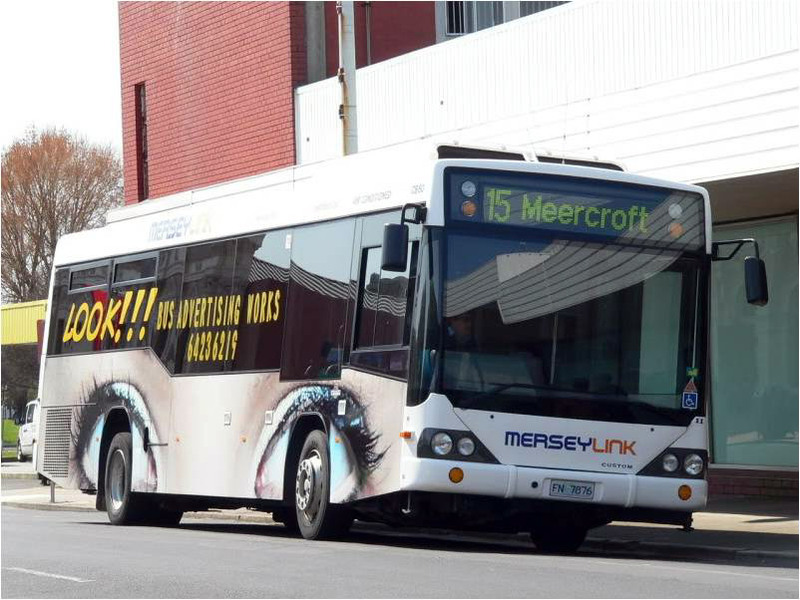 Merseylink buses cover Devonport, Latrobe, Spreyton, Port Sorell and Shearwater, a total of 413,222 kilometres per year. Seen by an average of 50,000 eyes a day. It is affordable and effective, so why not get on board, it is advertising that works.